Late afternoon on Friday, I received a mail with the subject “Isn’t it just nice :)” and including the following screenshot attached. This is one of my smaller customers that use Microsoft Intune to manage his installation of Windows 10 Pro device. 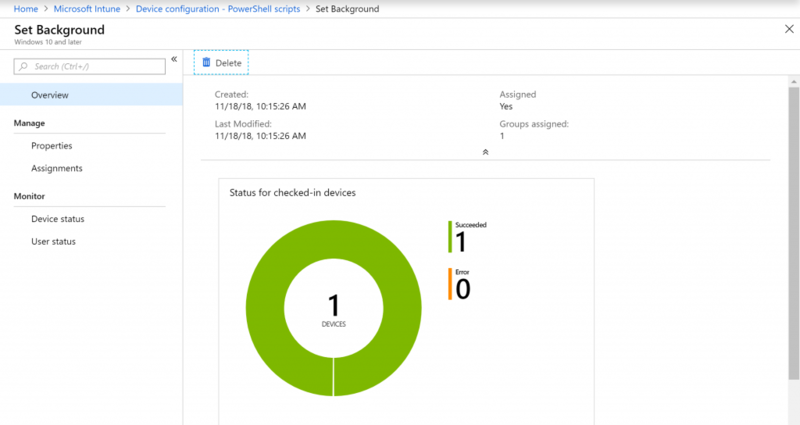 A couple of weeks back we have had a workshop on how to use Microsoft Intune to manage his installation of Windows 10 devices using the configuration policies with Microsoft Intune. One of the things I did not think that much about was a limitation of setting the desktop image. After talking with fellow Microsoft MVP @RonniPedersen I actually remember we have previously discussed this limitation when the “personlization CSP” policies was introduced by Microsoft. I remember in created a bit of controversy in the community as this seems like one of the most basic settings within Windows that is configured by the majority of all desktop administrators. 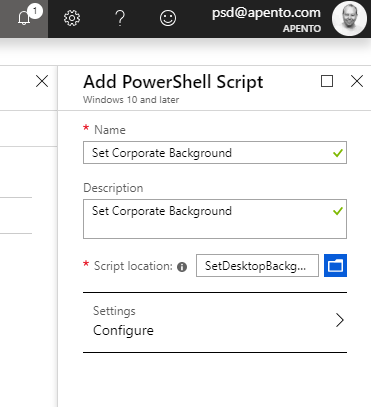 Luckily Microsoft provided us with the ability to execute PowerShell on clients even on Windows 10 Pro. With a bit of coding this would allow us to manually set the background our self. The PowerShell script can be downloaded from Microsoft scripting center. 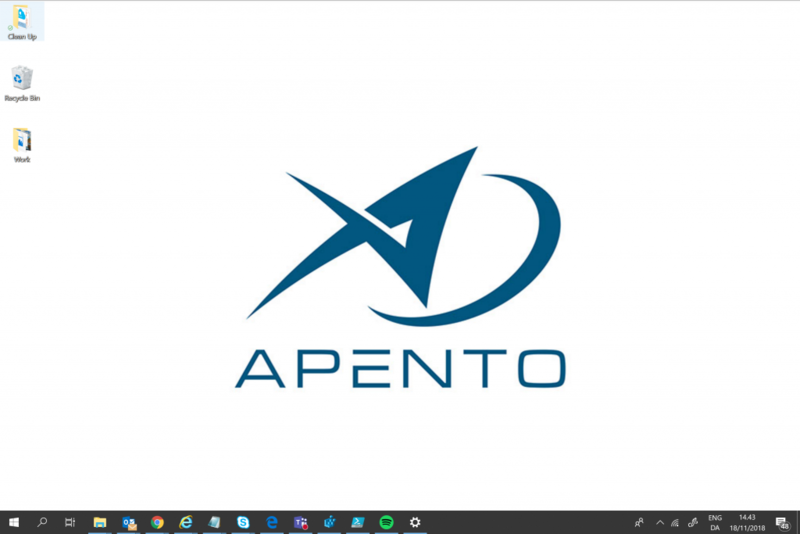 These steps guides your through the steps of setting the corporate desktop background on all your Windows 10 devices. Upload your desktop background to public Azure storage account, your website or a image site like https://imgur.com/. For this script I decided to use Imgur for the background image https://imgur.com/a/lCpie56. Download the script “SetDesktopBackground.ps1” from Microsoft scripting center. Change the “CustomerXXX” name to your company name and change the source $url to your public available image source online on the Internet. 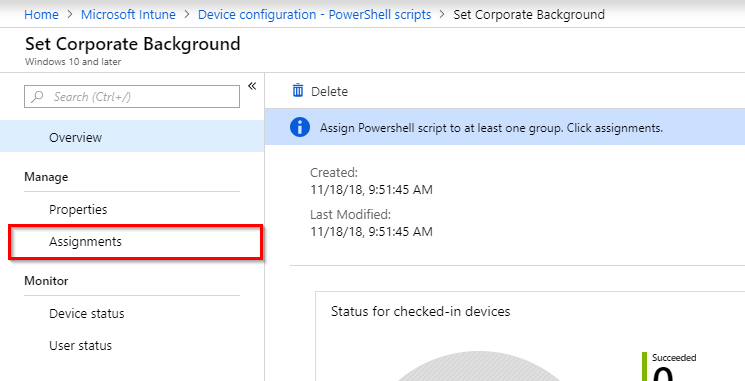 Open Microsoft Intune under PowerShell scripts. Upload the script by clicking “Add”. Type in a name for your script, click the “browse” icon and select the modified script. Click “Ok” and afterward the “Create” button. “Select” the Azure AD security group with the users that needs this background applied and click “save”. Wait for the changes to be applied to the users desktop. 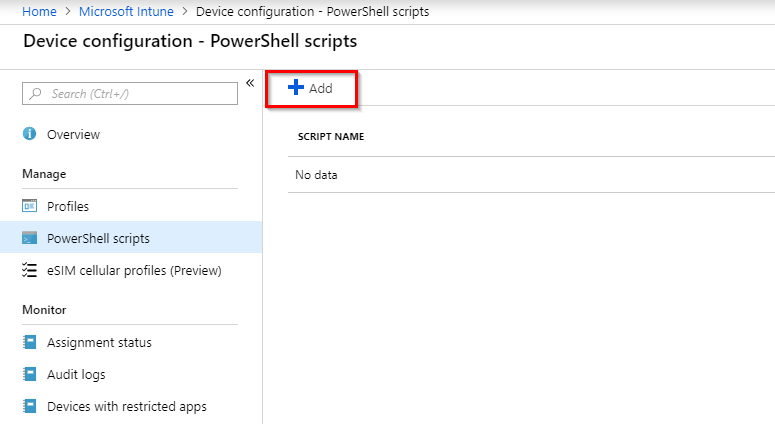 You can also monitor the progress under the device configuration in Microsoft Intune. I hope these steps help you with applying corporate branding to your Windows 10 Pro clients. 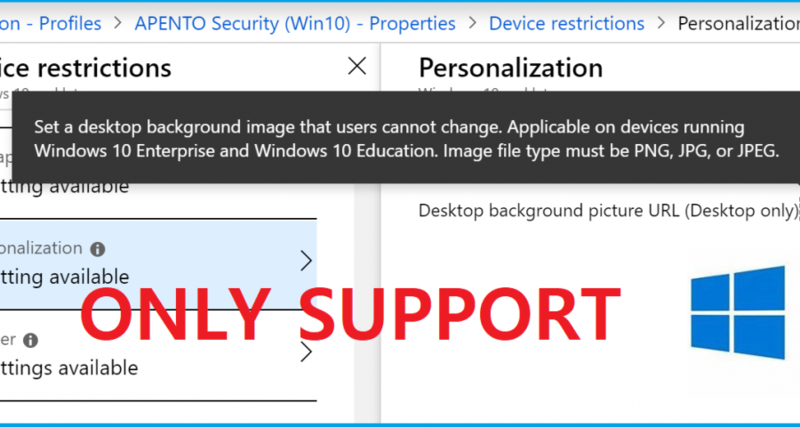 I would also recommend using this setup as an additional add-on to the Microsoft Intune personalization CSP policy as it sometimes doesn’t work that well, when you upgrade from Windows 10 Pro to Windows 10 Enterprise E3 licensing. I have amended the script but its still pointing to the Apento image. Any advise on what else to change to get the script reading out corporate image.